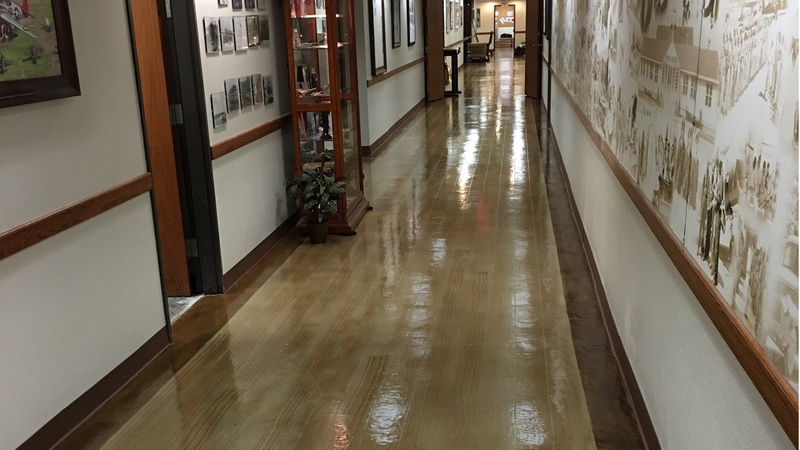 As with all flooring materials Polished Concrete has a variety of benefits that have made it an extremely popular flooring choice for residential, commercial and manufacturing facilities, processing plants, shop and production floors, communal areas in these facilities, as well as other high traffic environments. There are also some drawbacks to using it in certain areas, but many of them are easy to overcome, and in the end, the positives of polished concrete flooring far outweigh the negatives. It is important to understand the demands of the environment where the flooring will be located as well as the pros and the cons before making a final flooring decision. 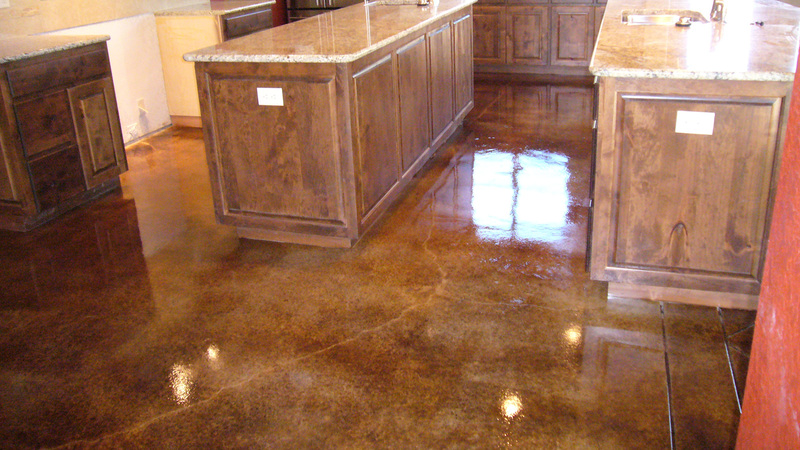 Additional benefits include a lower cost for installation than many flooring options and the fact that ANY floor covering can be applied to these floors at a future date….after all, it’s still the original concrete floor. 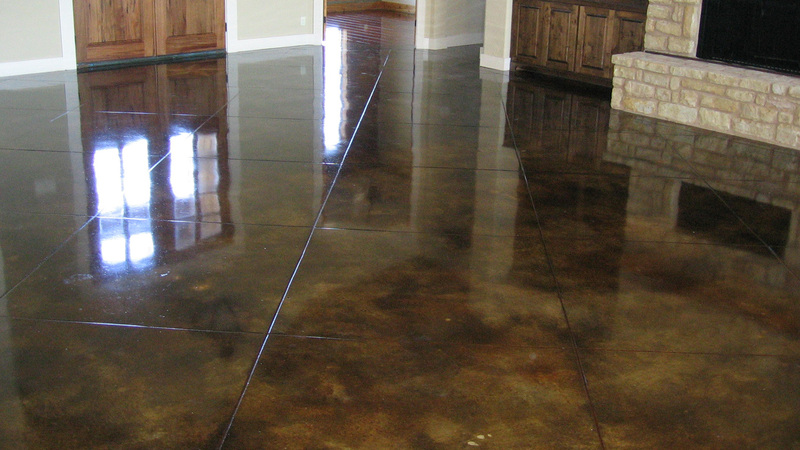 A polished concrete floor can be colored or just the existing gray concrete can be polished, high shine or matt finish. You can blend color into your home or business by the use of area rugs, or different colors applied to separate rooms or areas. 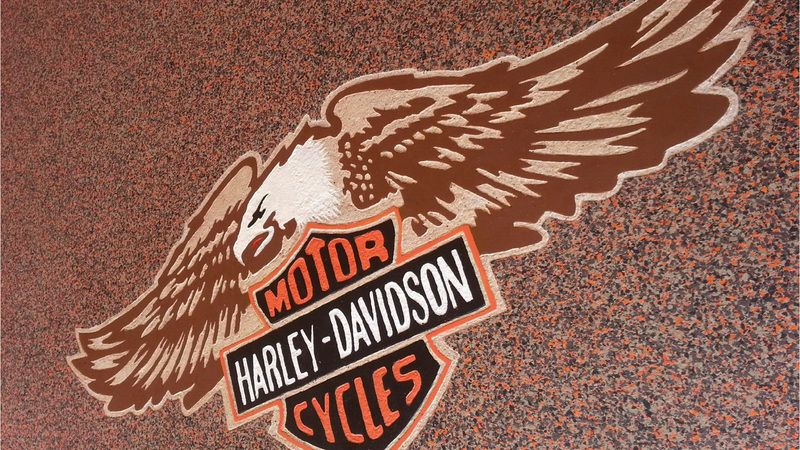 These floors can also be scored or engraved with various designs to add texture and depth. 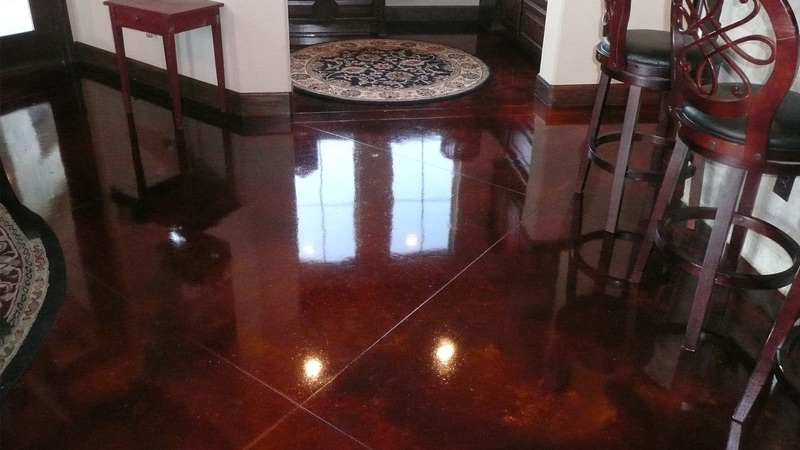 Polished floors offer the easiest maintenance of virtually any flooring option and look great for many years.